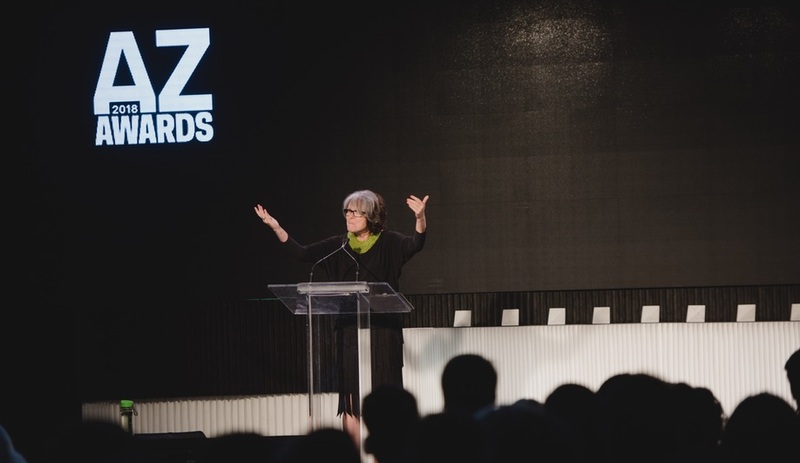 AZ Awards Guest of Honour Winy Maas takes the stage. 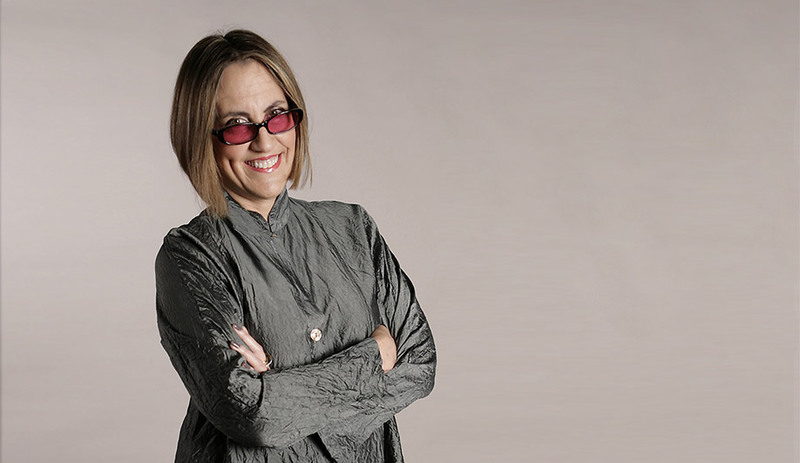 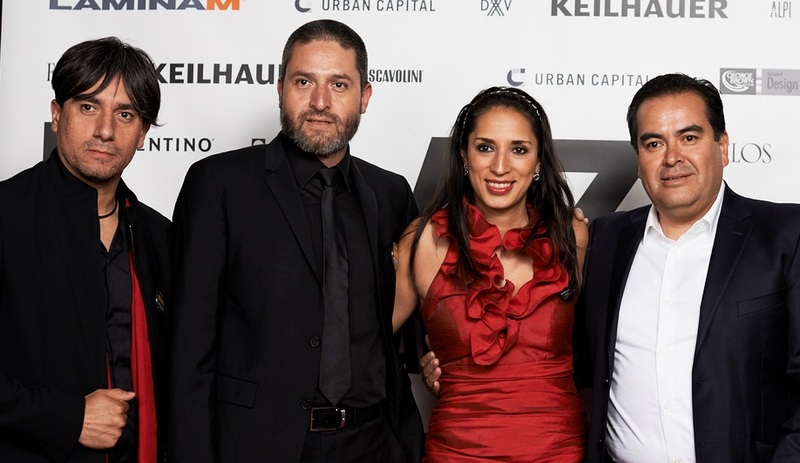 Eti Greenberg, urban planner Ken Greenberg and landscape architect Claude Cormier. 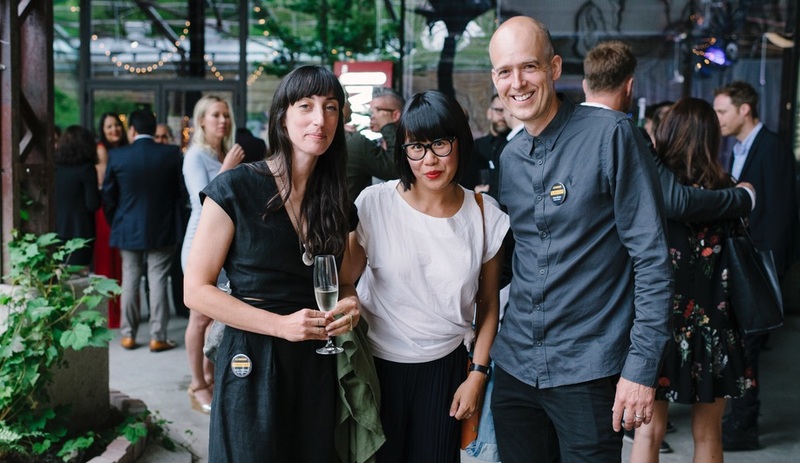 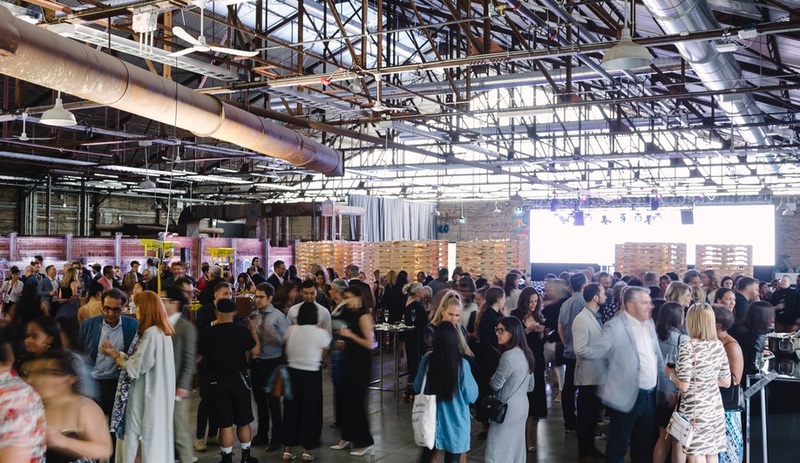 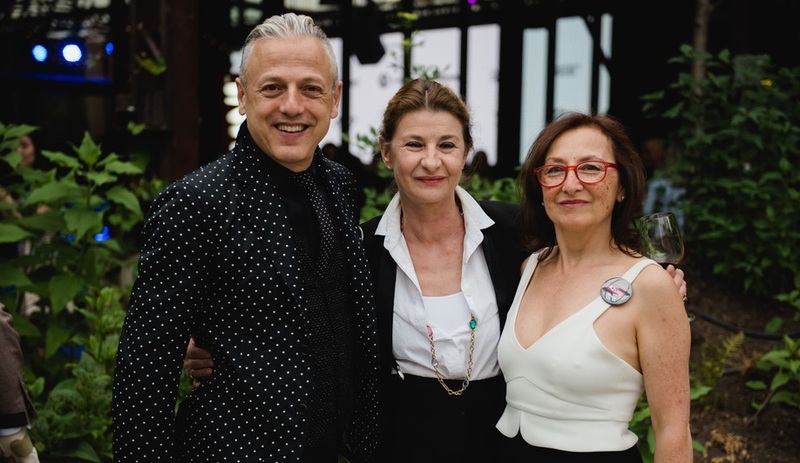 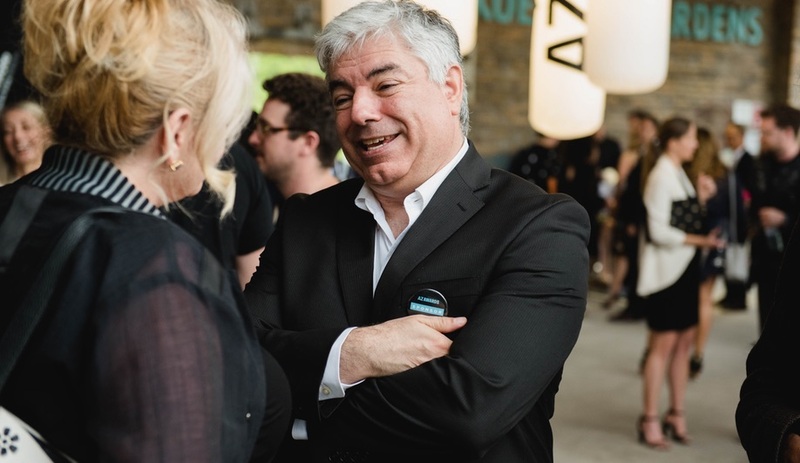 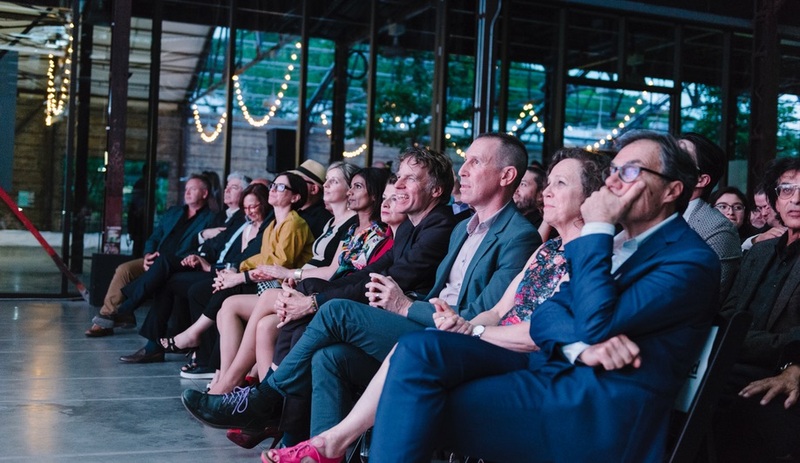 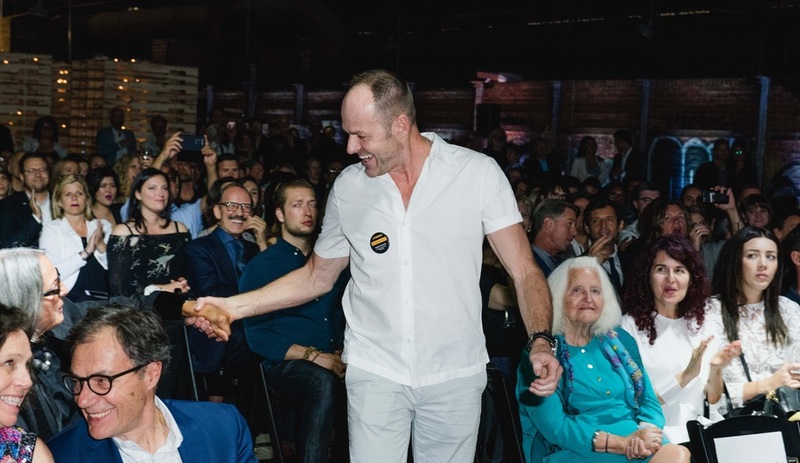 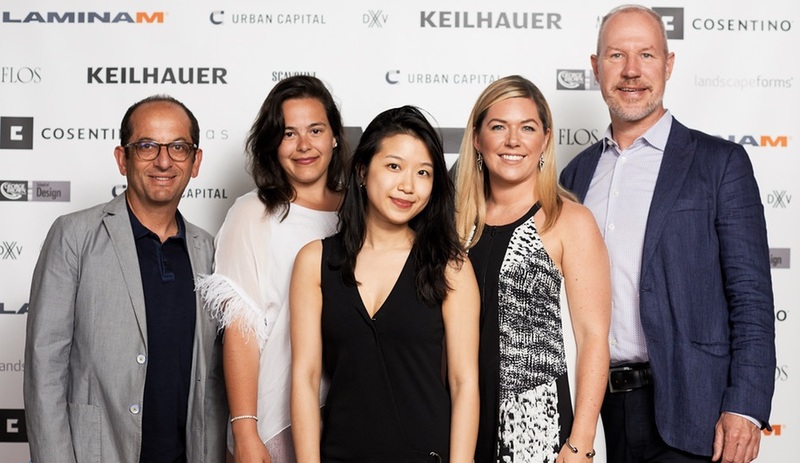 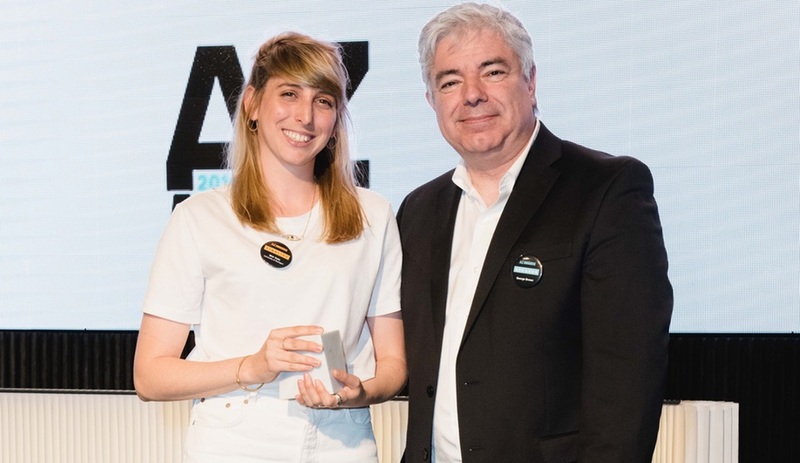 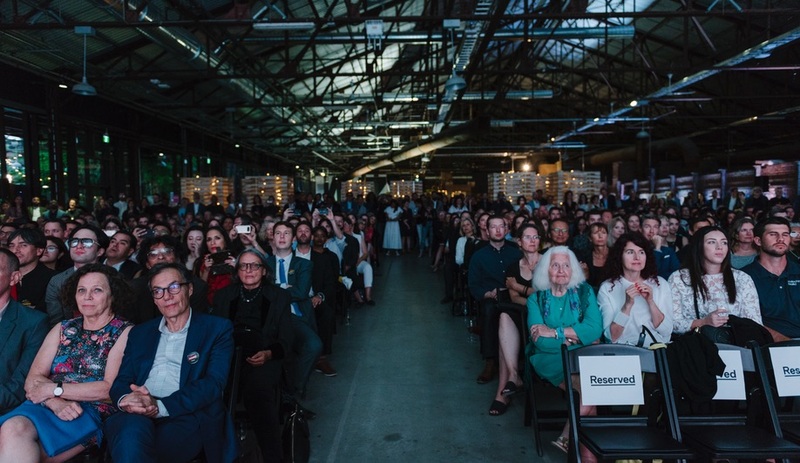 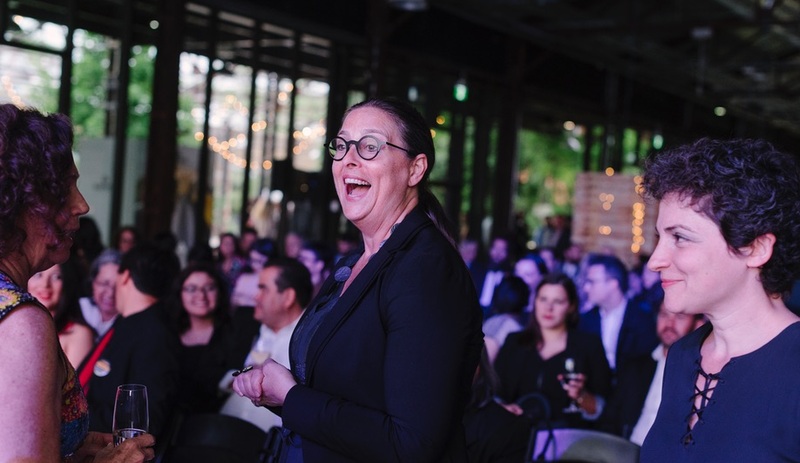 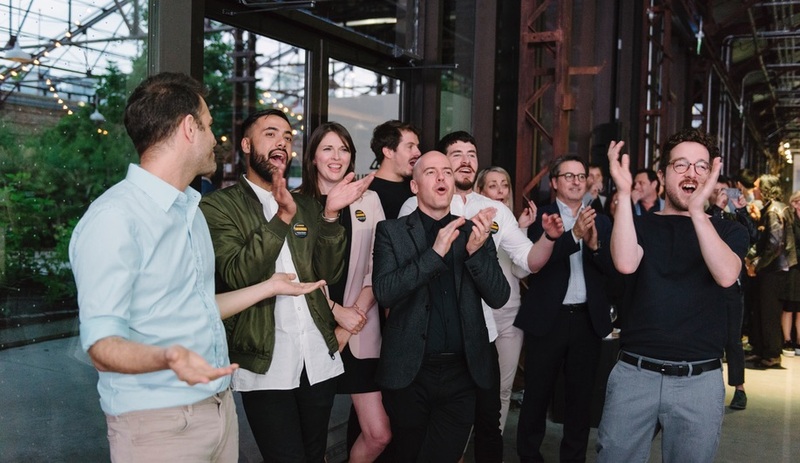 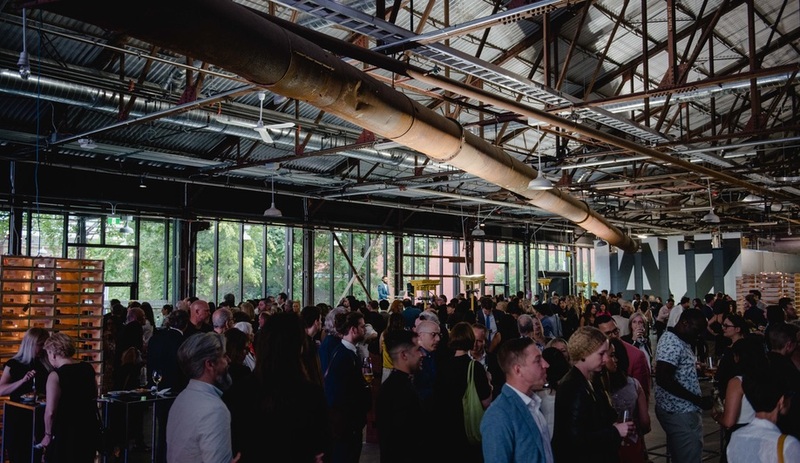 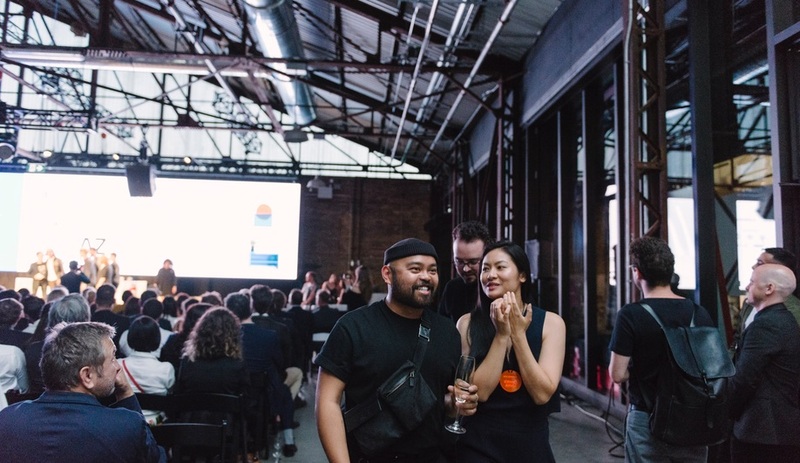 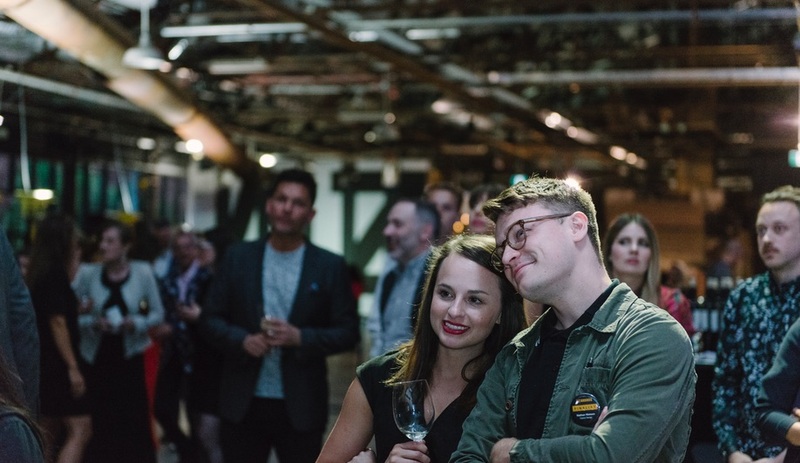 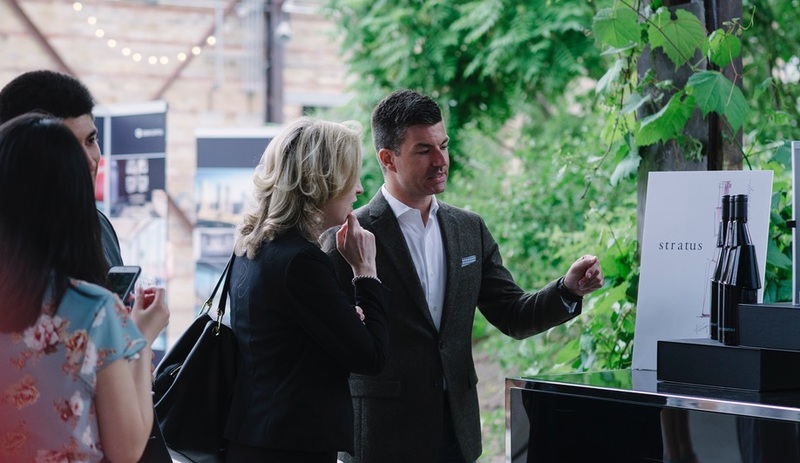 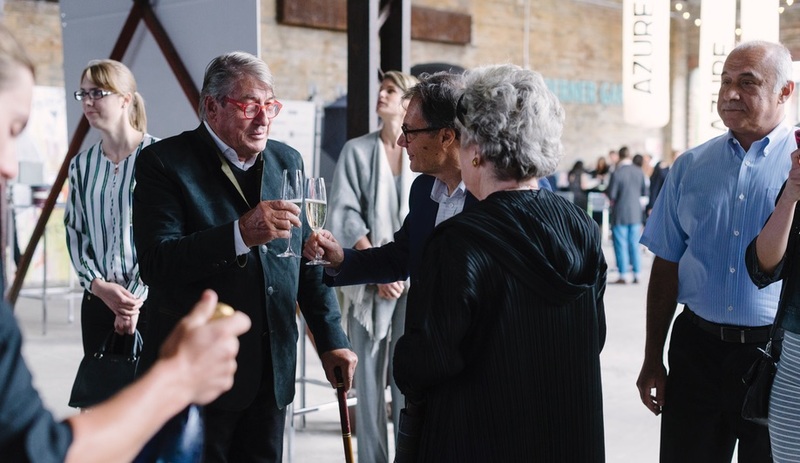 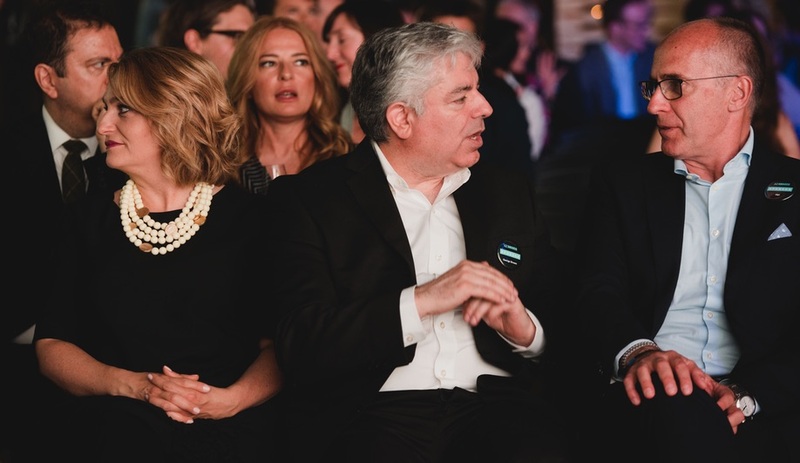 On Friday, June 22, Azure announced the winners of the eighth annual AZ Awards, and celebrated all of the finalists in one fabulous night at the Evergreen Brick Works in Toronto. 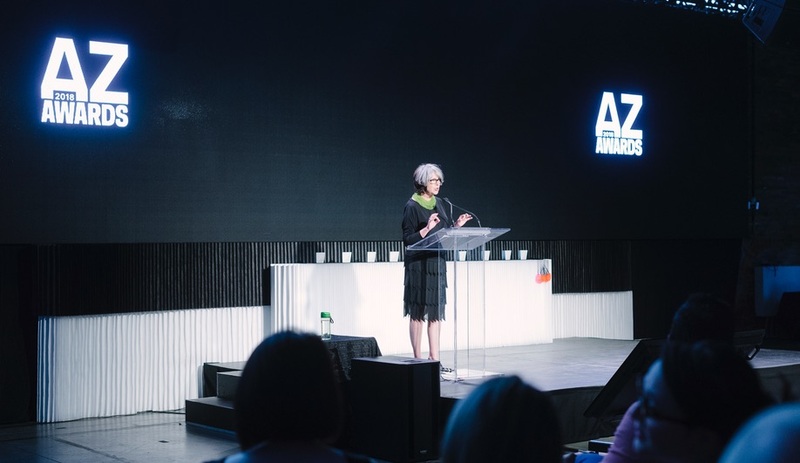 An epic night in celebration of the best design and architecture from around the world, the AZ Awards gala welcomed some 500-plus guests on Friday, June 22. 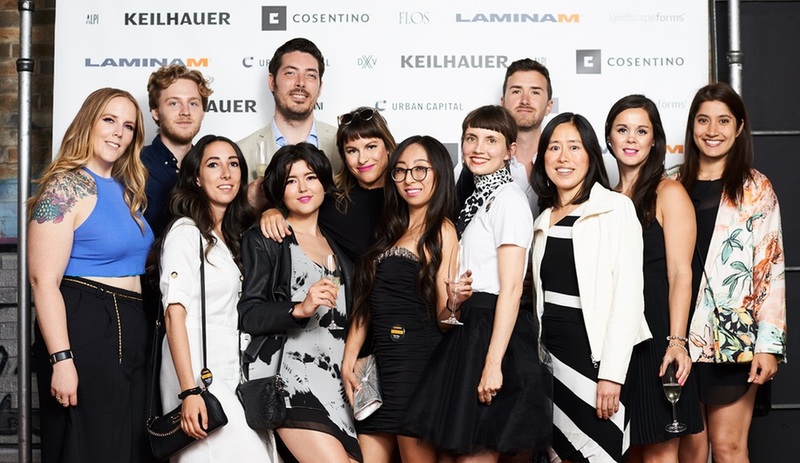 The revellers included winners and finalists in the 20 categories of the AZ Awards who flew in from Japan, Austria, Mexico and the U.S.
We were joined by our partners at Cosentino, Keilhauer, and Stone Tile and Laminam, as well as our sponsors at Flos, Landscape Forms, Urban Capital and George Brown School of Design. 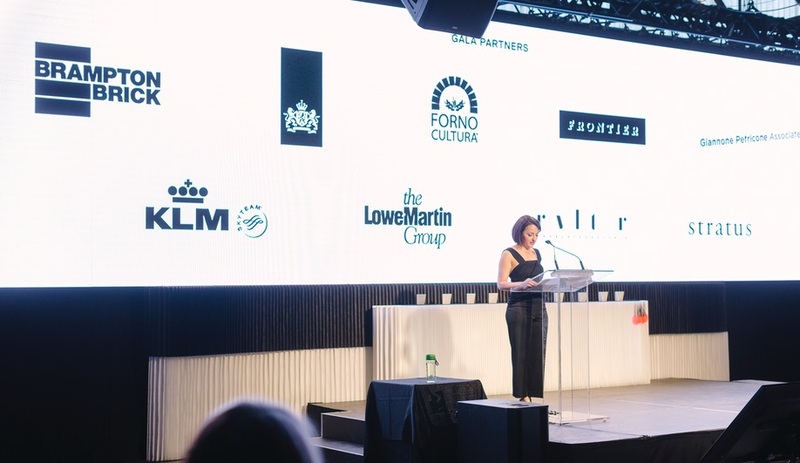 Our gala sponsors were Alpi, DXV, Farrow&Ball, Scavolini and Tas. 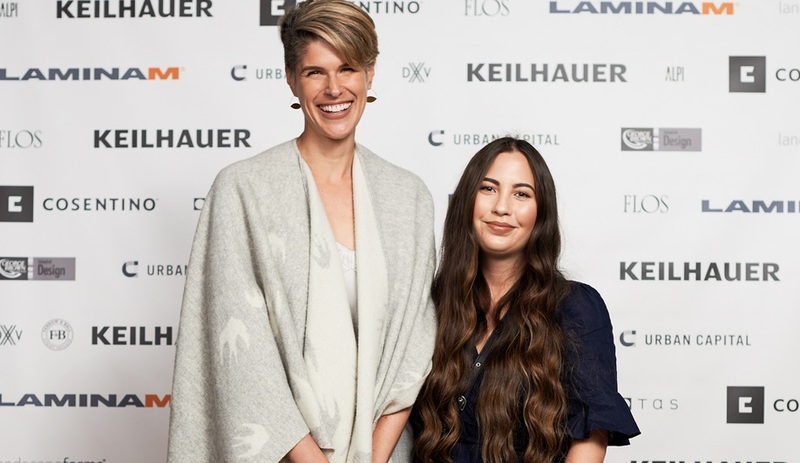 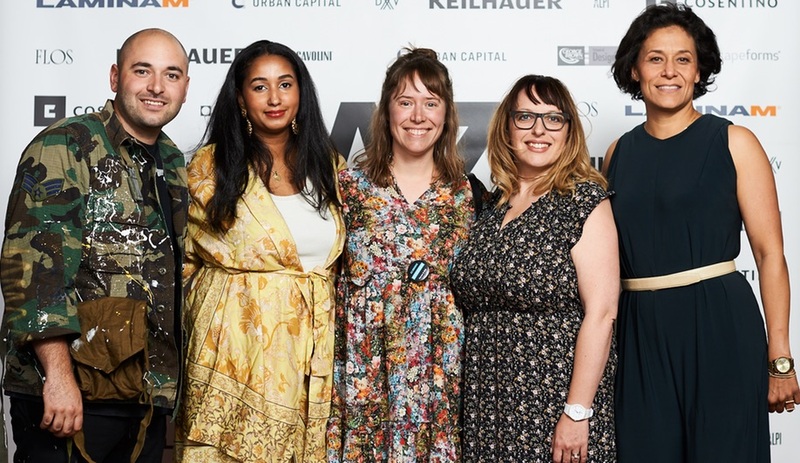 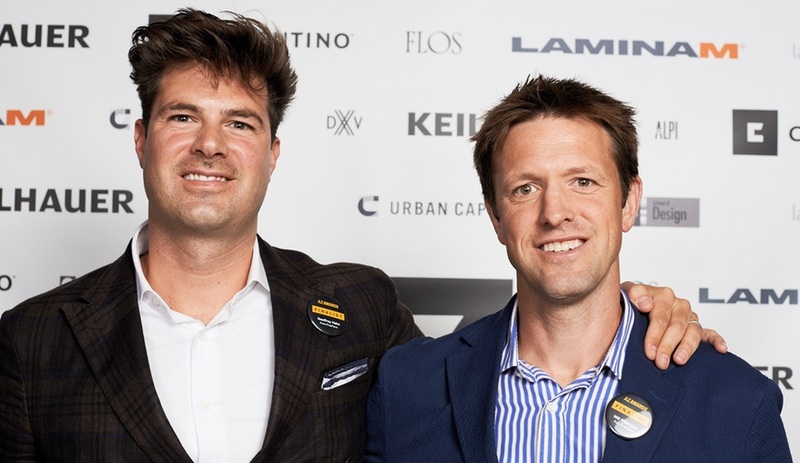 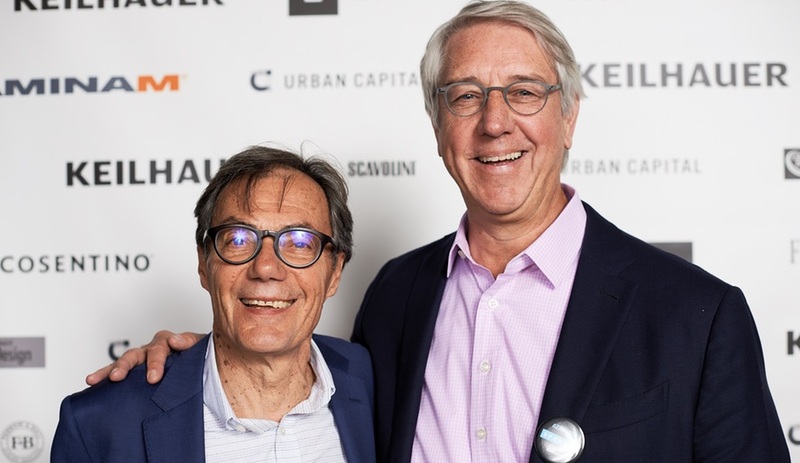 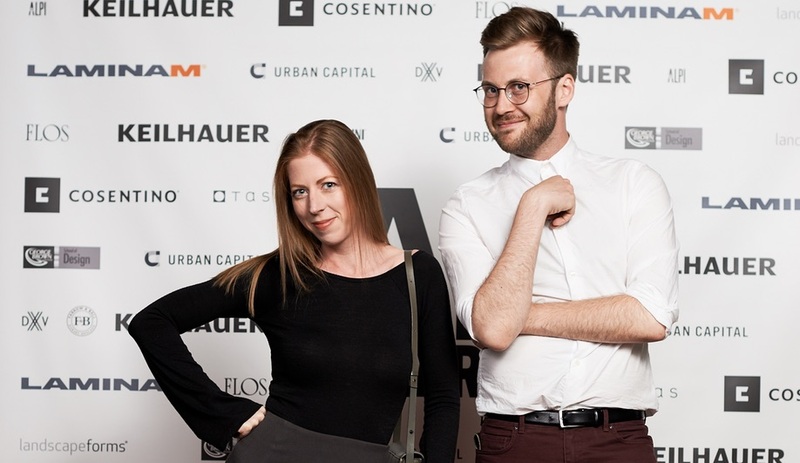 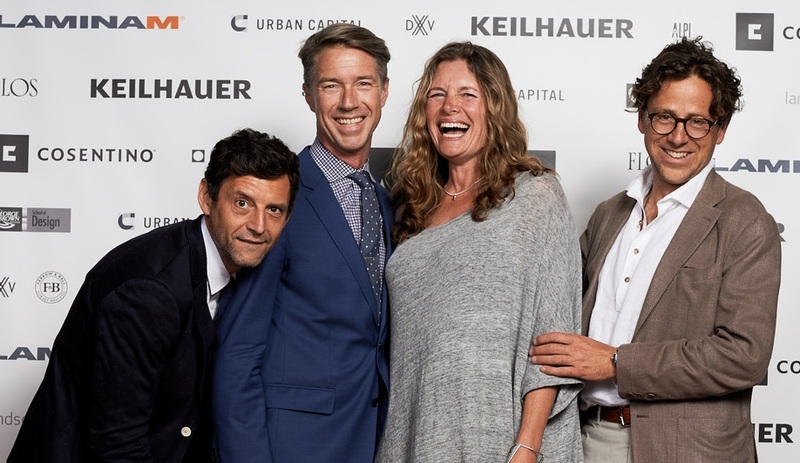 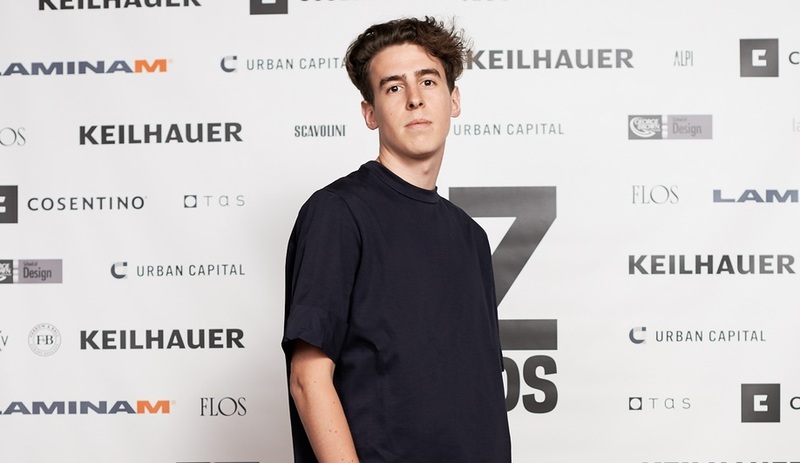 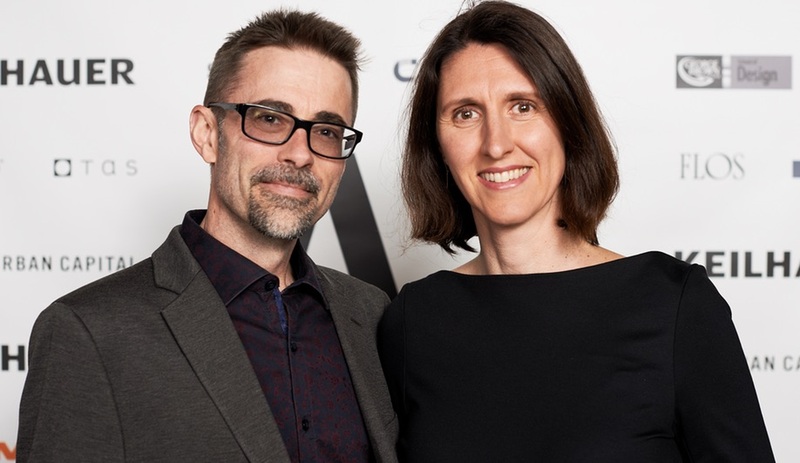 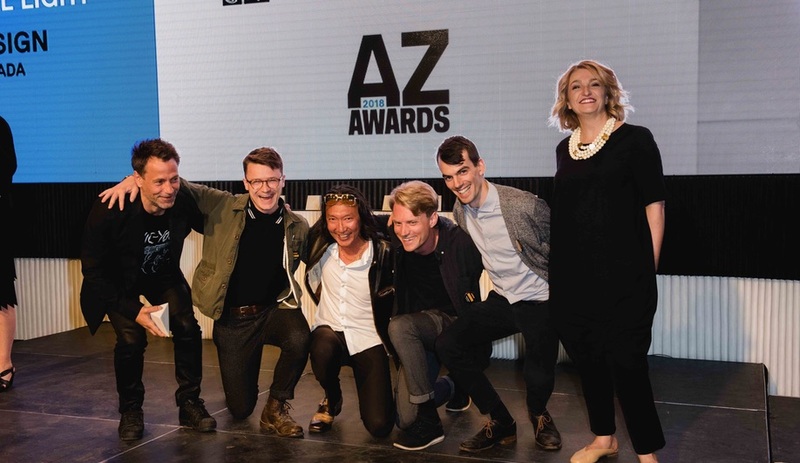 These remarkable AZ Awards supporters created welcoming environments, immersive installations and interactive experiences, from Keilhauer’s cozy Untucked lounge and Landscape Forms’ Multiplicity bench by Yves Béhar to George Brown’s Subtwist multiplayer games for commuting. 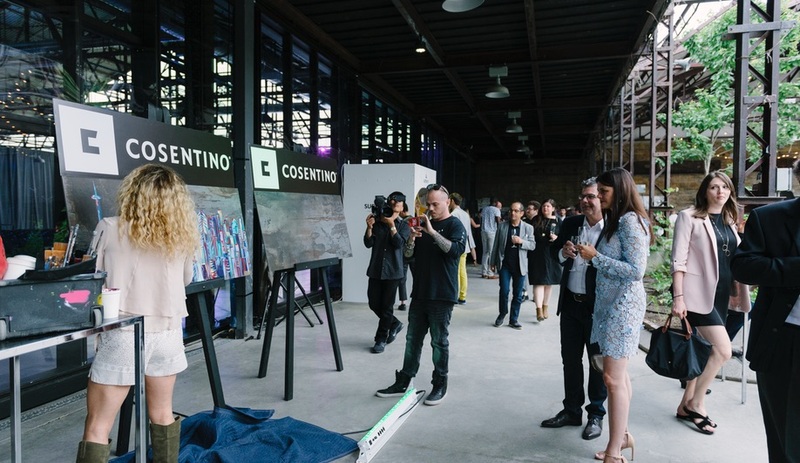 Cosentino featured a live painting performance by artist Jess Gorlicky, who depicted the Toronto skyline on a thin slab of Dekton Trilium. 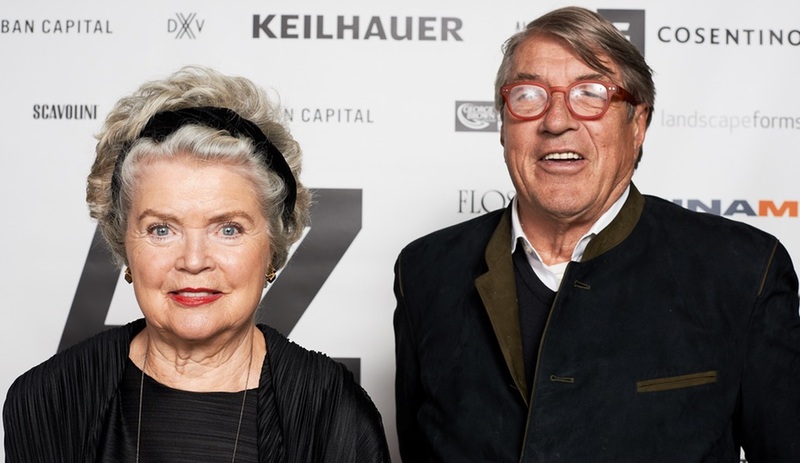 Farrow&Ball also made art: Anthony Ricciardi, aka Rich, applied the F&B logo over one of his canvases. 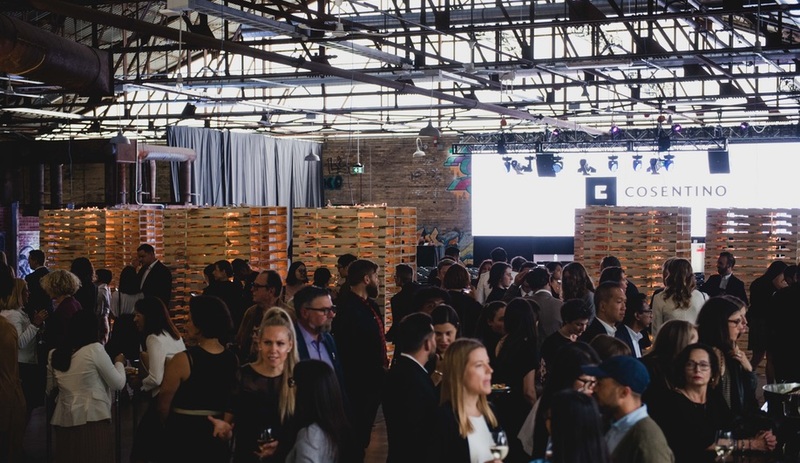 The party got underway in a dynamic space brought to life with a witty installation by Giannone Petricone Associates, who stacked shipping pallets and red bricks in tower-like configurations to evoke the bricks and mortar history of the site as well as the enduring materials of the architectural profession. 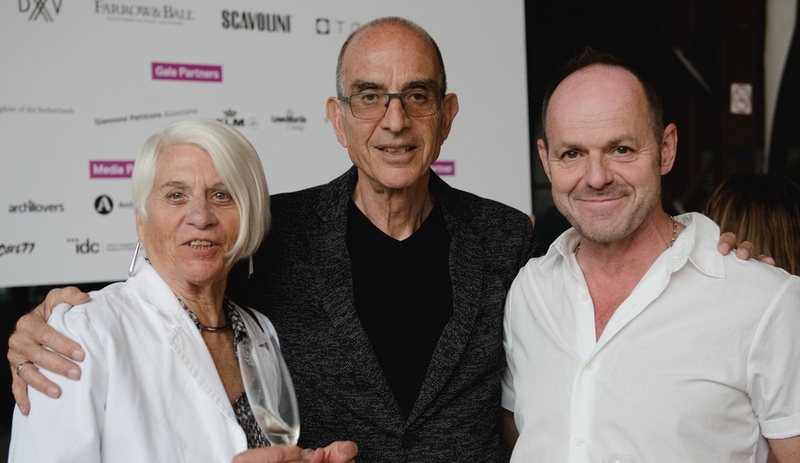 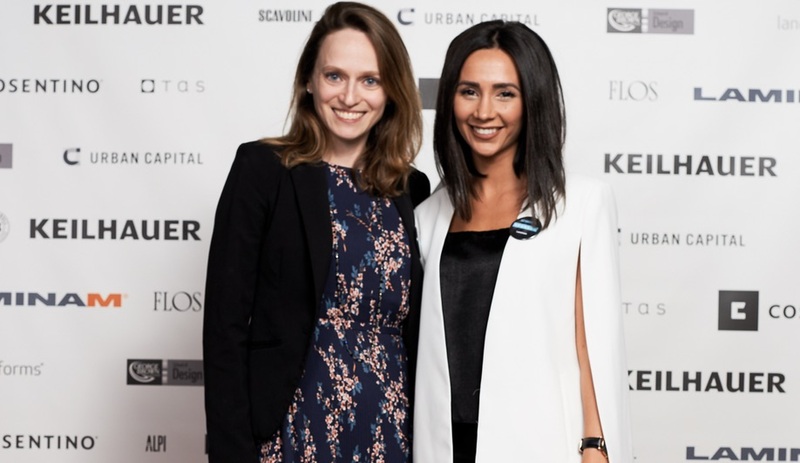 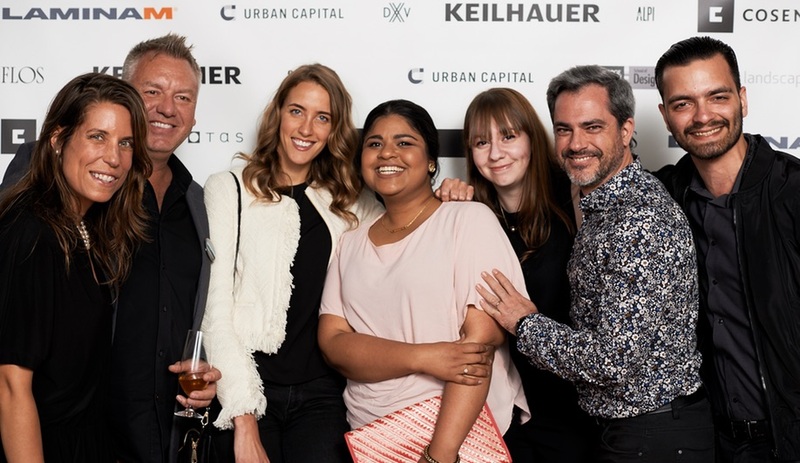 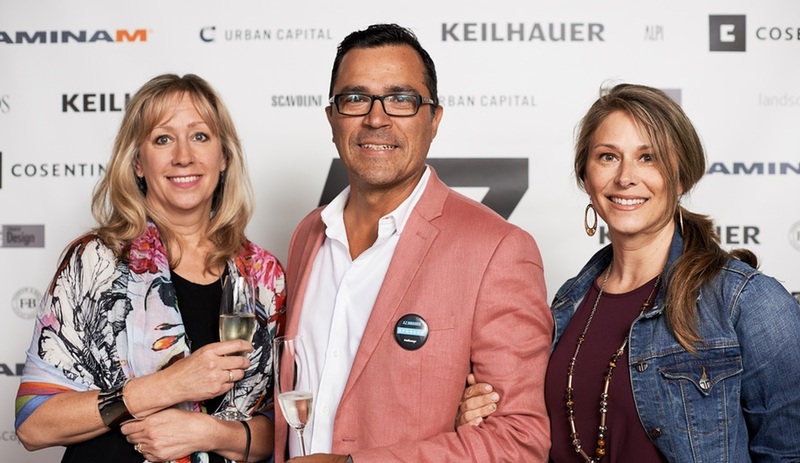 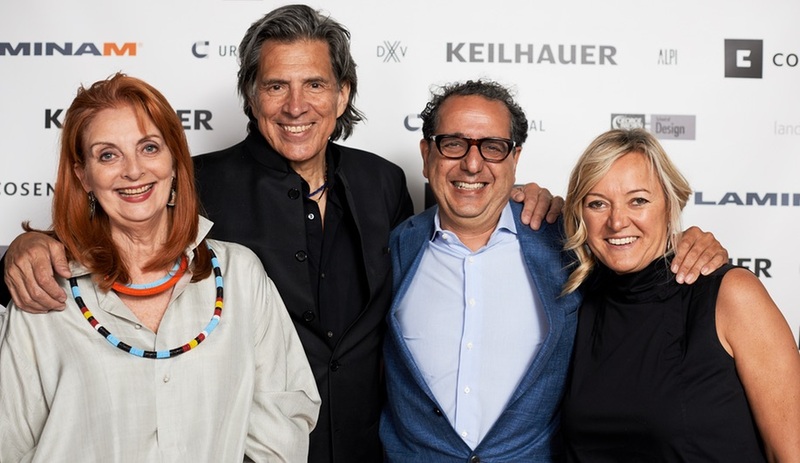 Among our food and drink gala sponsors, Stratus served its crisp wines and showcased a Karim Rashid–designed wine bottle/decanter, and Forno Cultura offered up biscotti and soft-serve ice cream. 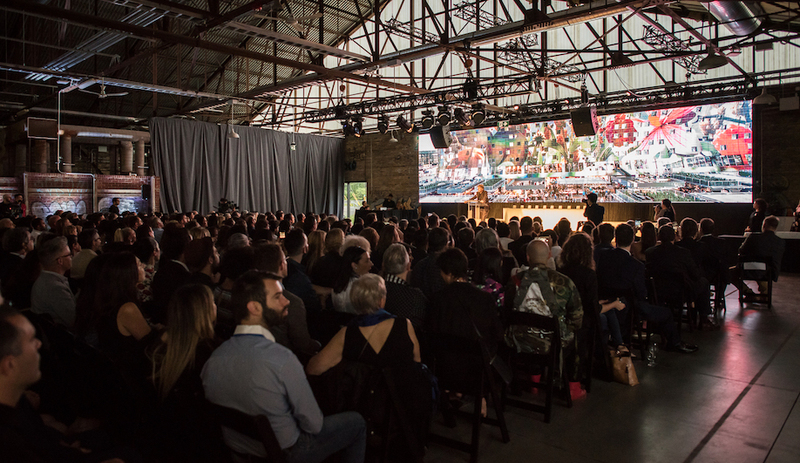 Then it came time for the gala presentation. 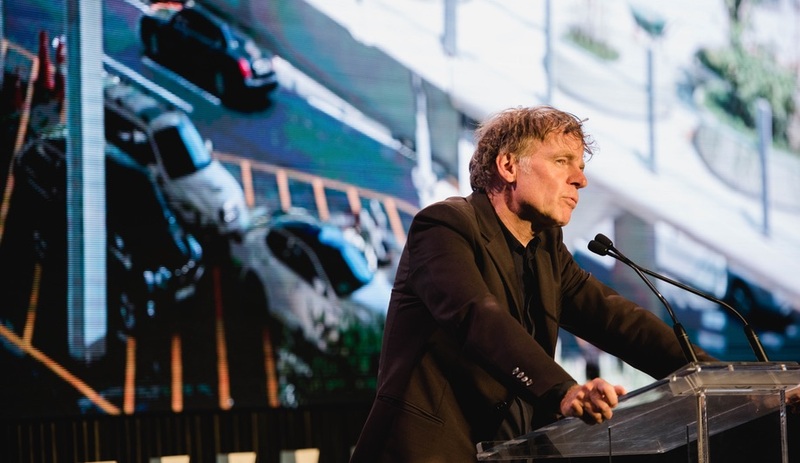 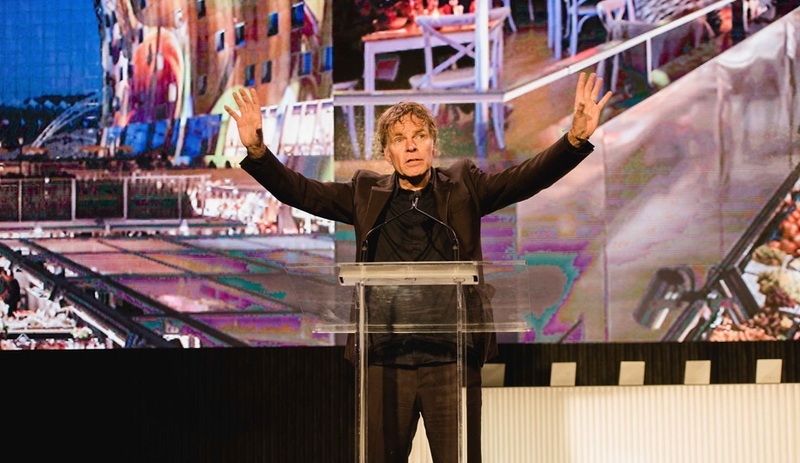 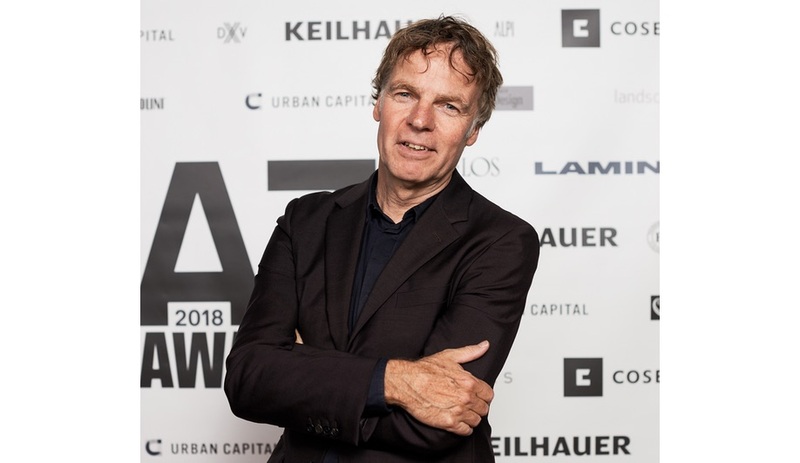 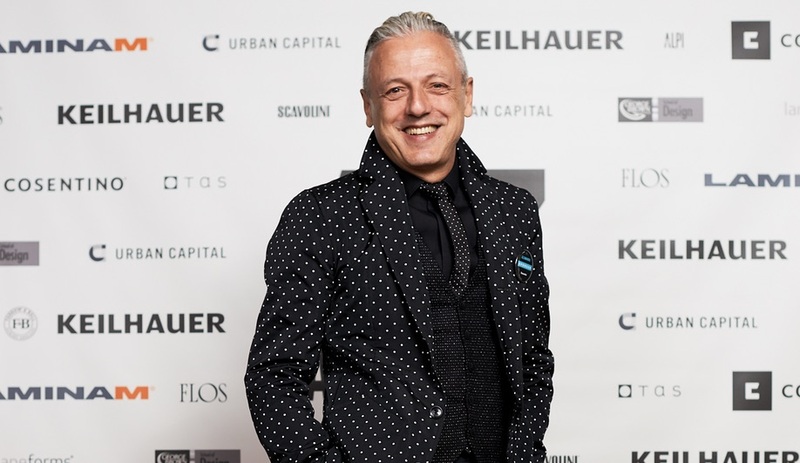 The 2018 AZ Awards Guest of Honour, Dutch architect and MVRDV co-founder Winy Maas, took the stage to talk about the importance of the design media – Azure featured his Tianjin Binhai Library in March/April 2018 – and congratulated all those who entered the awards and the yet-to-be-named winners. 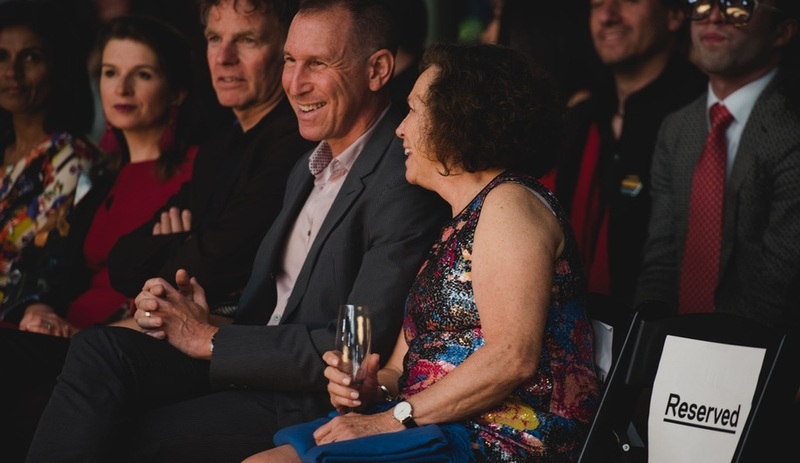 And our MC, the legendary broadcaster Laurie Brown, unveiled both the jury winners and People’s Choice against the spectacular backdrop of Frontier Studio‘s visual presentation. 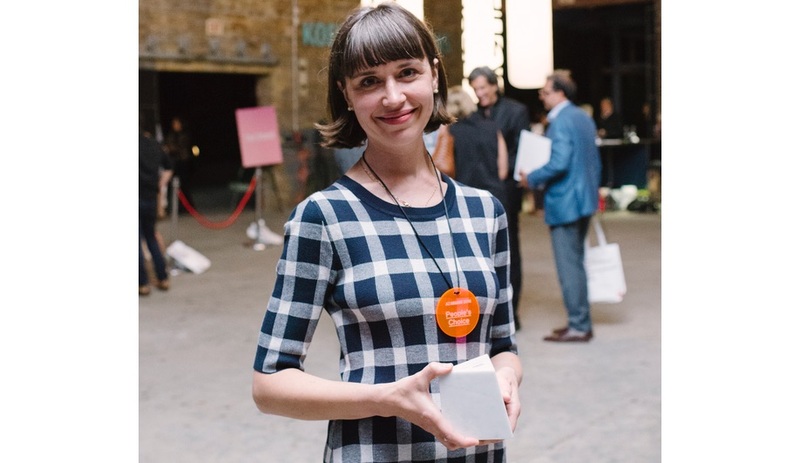 Each jury winner took home a trophy designed by Michael Anastassiades and crafted in Carrara marble by Salvatori. 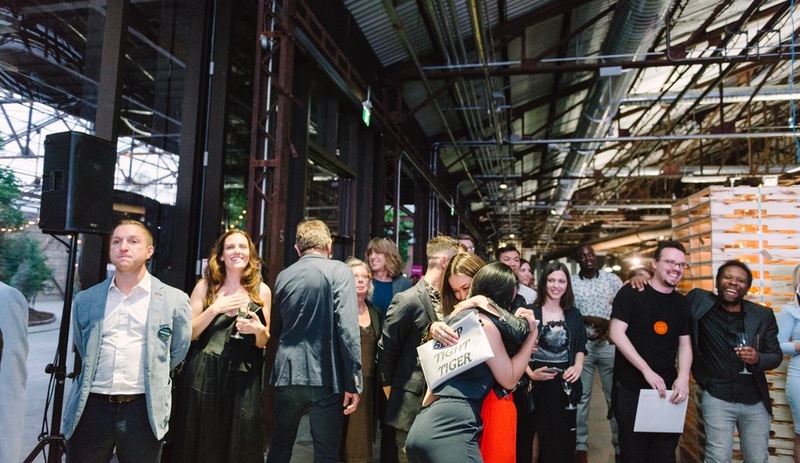 With the celebratory dancing and mingling that continued until almost midnight, it was a night to remember. 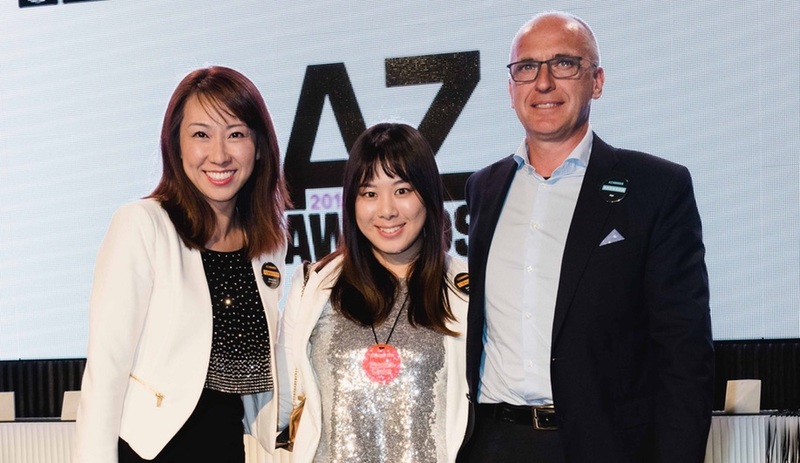 Azure congratulates all of the winners and finalists of our 2018 AZ Awards and thanks everyone who came out to the gala. 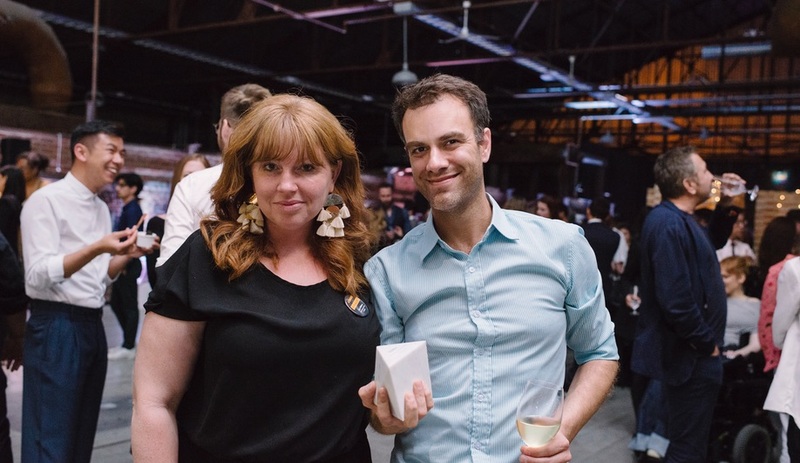 You can find the list of winners here. 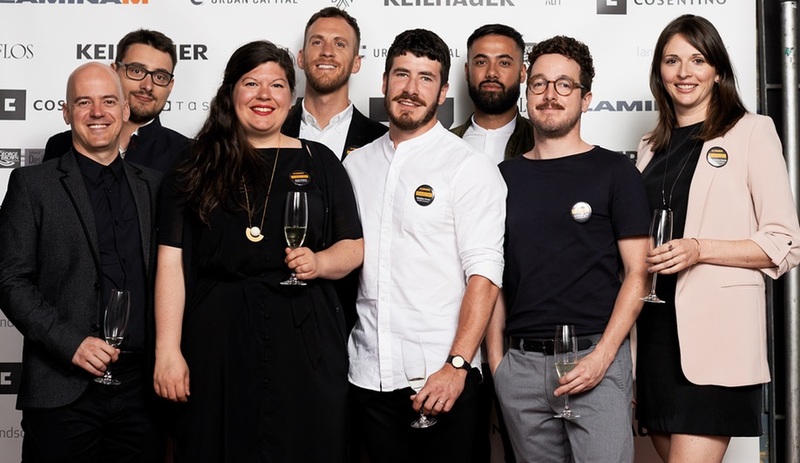 All the winners and finalists are featured in the Annual Awards Issue, on newsstands July 2 and available to order online here. 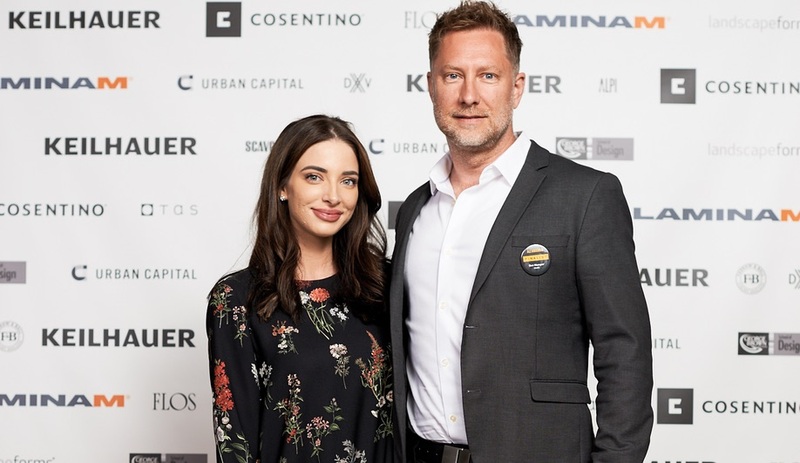 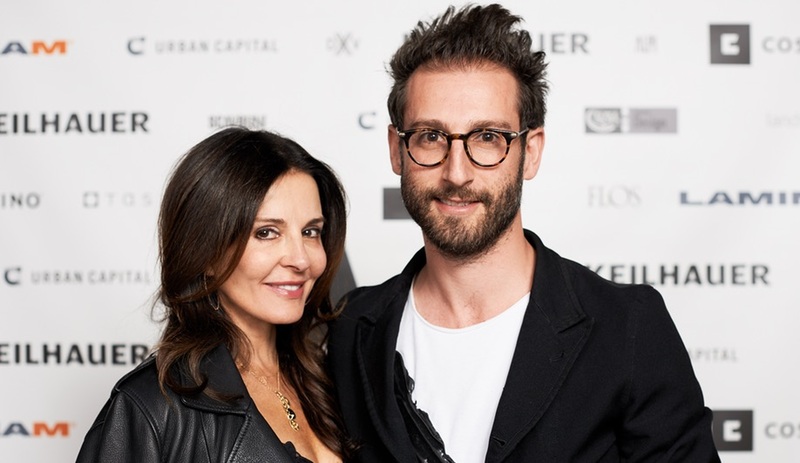 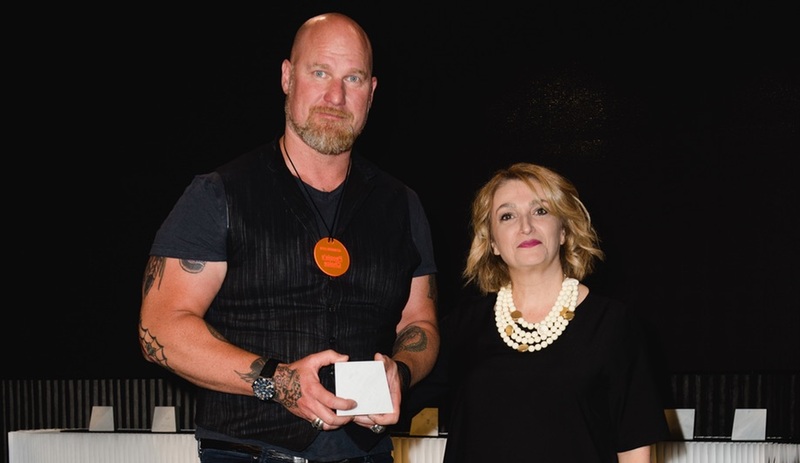 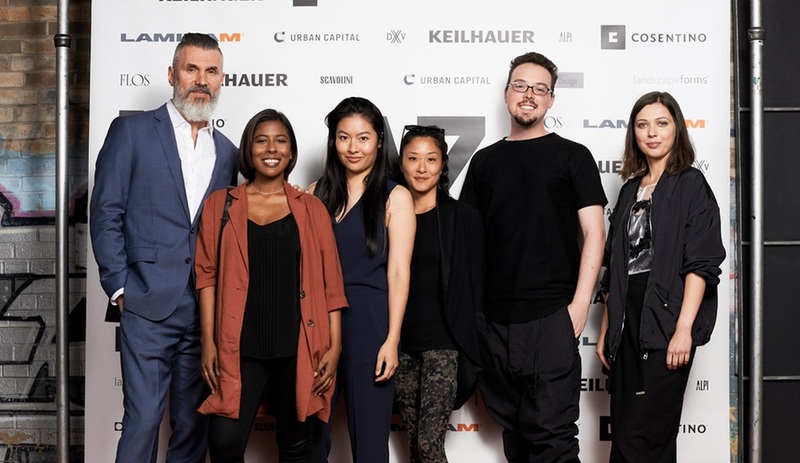 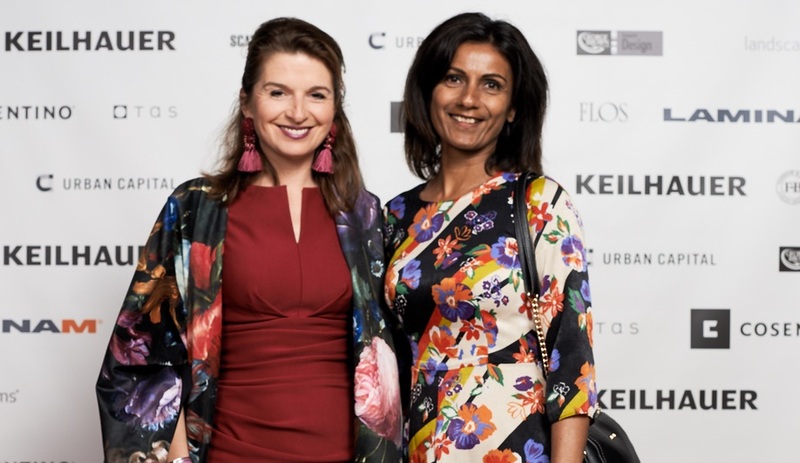 The 2018 AZ Awards was presented by Cosentino, Keilhauer, Stone Tile and Laminam, and was sponsored by Flos, Landscape Forms, Urban Capital, and George Brown College School of Design. 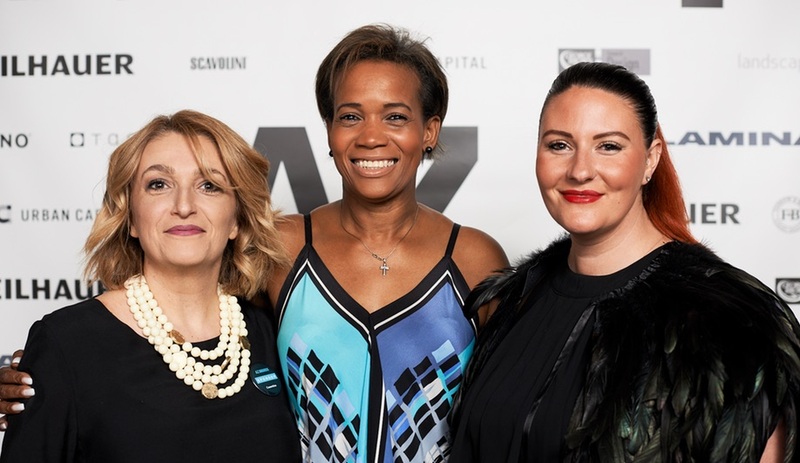 Gala sponsors were Alpi, DXV, Farrow&Ball, Scavolini, and Tas.